Do you reside in Bayswater and the surrounding eastern suburbs? Were you looking for a professional team to assist you in installation of gutter guard system and also check your roof? CPR Gutter Protection specializes in gutter guard installation, replacement and roof restoration and have been providing their services for over 20 years. CPR Gutter Protection products are 100% manufactured in Australia and have 25 years warranty. We have a wide range of product collection such as gutter screens, fine mesh gutter guard, metal gutter protection and gutter helmets. These gutter guard products are made from the highest quality aluminum. The gutter guard design is meticulously selected to suite the roof type of your Bayswater home. Along with this, our team will also take the climatic variability to ensure that the gutter guard is weather resistant. 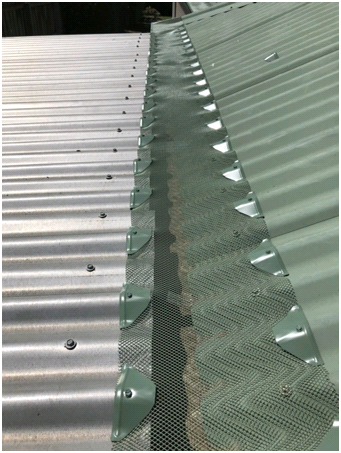 The gutter guard design is also chosen based on the expected amount of leaves and debris entering the gutter system and the type of vegetation determines the size of mesh required. The gutter guard system is put into place by our professional installers. These professional installers are fully insured and are highly equipped with using safety equipment. The gutters are cleaned as a complimentary service by our installers prior to the installation process. Whether you want a bit of help with your rainwater harvesting system or just want to keep your gutter clean at all times with minimal maintenance, call CPR Gutter Protection at 0431 239 512 to help you with gutter guard installation.